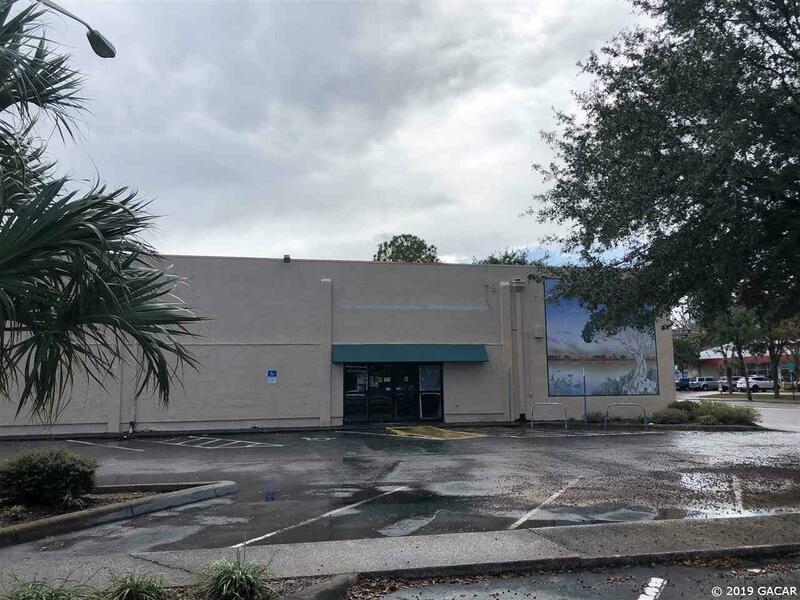 Place your business in the heart of Gainesville adjacent to the University of Florida with frontage on a major highway with strong traffic counts and demographics. Prime location within walking distance to the University of Florida with over 54,000 students. 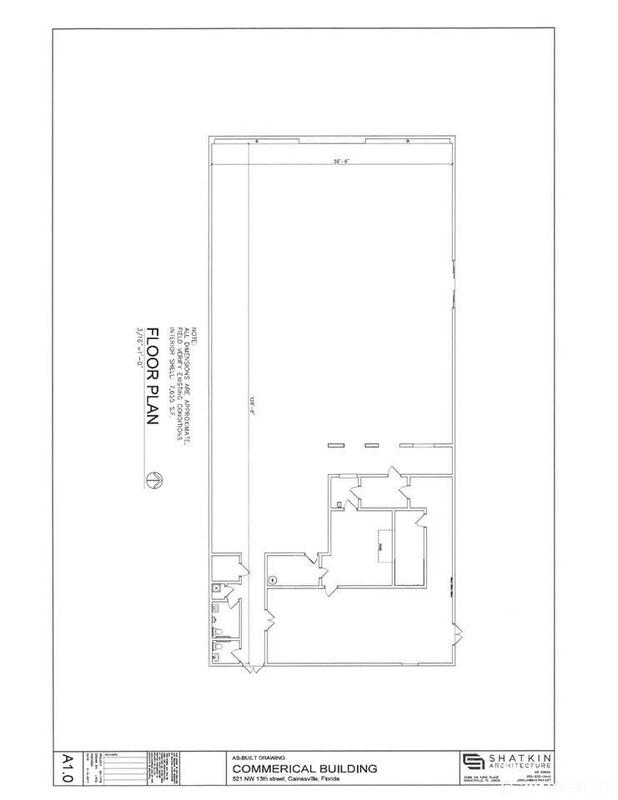 16 foot ceilings and a wide open floor plan provide flexibility for a variety of businesses. 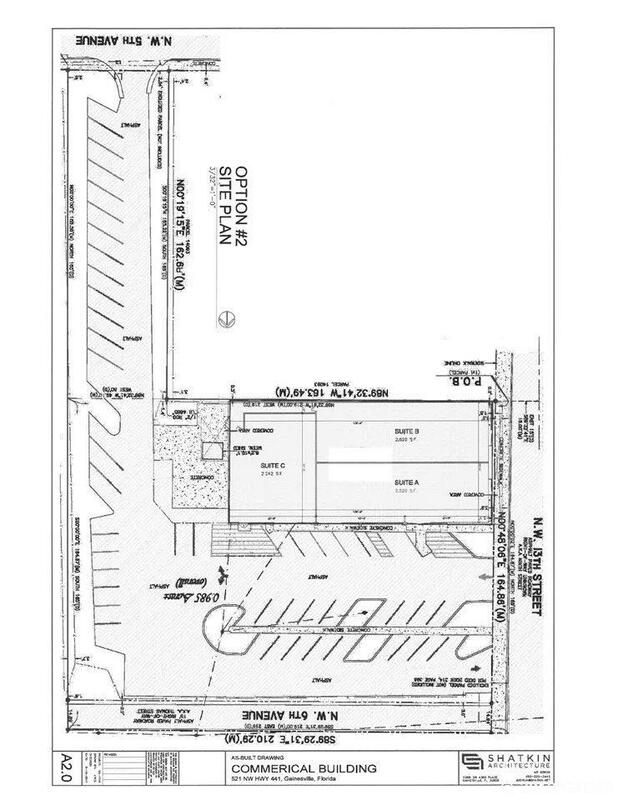 50+ ground level parking spaces makes this a one of kind property. Experience high traffic patterns while being close to "The Standard" featuring 1200 bedrooms, a 144-room AC Hotel by Marriott, and ground floor retail with national tenants such as Target, Chick-Fil-A, and CVS. Other nearby and walkable businesses include Publix, Starbucks, Holiday Inn, and Krispy Kreme. 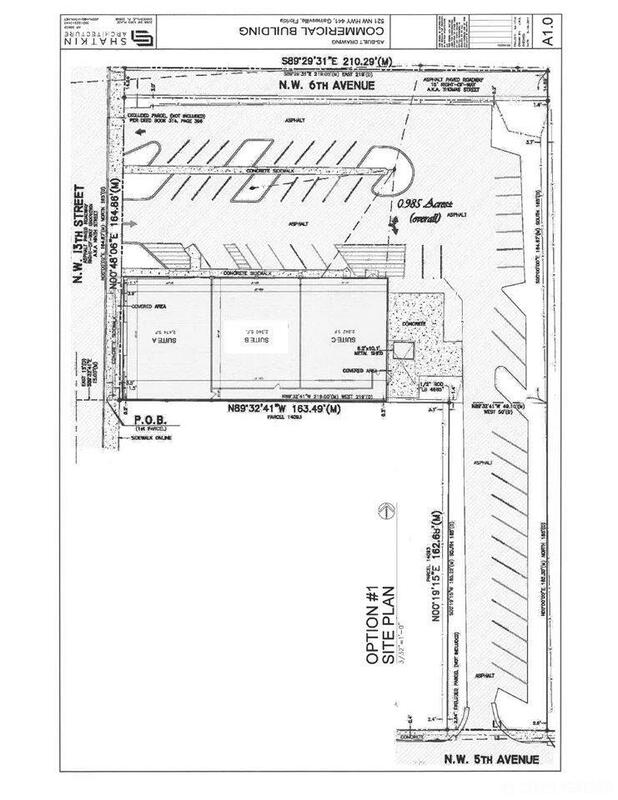 Flexible zoning and existing 3 phase power allows for a wide variety of uses including Supermarket, Restaurant, Food Court, Retail, or Office, and many more.